Double groove bearing. Fits: 1946-1955 Jeepster and Station Wagon with T-96. MB (1941-1945) w/ T84 Transmission; Input Shaft Bearing. CJ (1980-1983) w/ SR4 Transmission; Output Shaft Bearing. Wagoneer & J-Series (1965-1969) w/ 2WD; w/ T85 Transmission; w/ Overdrive; Rear Overdrive Bearing. Wheel Cylinder Brake Line, 41-45 MB, 41-45 GPW, 45-49 CJ2A, 48-53 CJ3A, 53-67 CJ3B, 50-52 M38, 52-71 M38A1, 55-66 CJ5, 55-66 CJ6. Bushing sector shaft, inner, 7/8". Fits: 1941-1966 Willys and Jeep vehicles with 7/8" sector shaft. Helps eliminate play in your steering. Outer bushing for your sector shaft. Fits: 1941-1966 Willys and Jeep vehicles with 7/8" sector shaft. Help remove play from your steering. Chain-driven camshaft fits the 4-134 L-head engine used in 1945-1946 CJ-2A, 1941-1945 Ford GPW, 1941-1945 Willys MB. 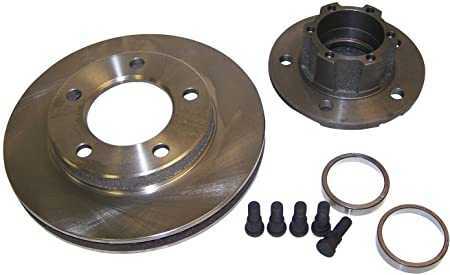 8.5" clutch disc. Fits: 1941-1971 Willys and Jeep. 4-134 and 1-161 engines. Crankshaft Pulley 4-134 engine, double groove,48-51 Jeepster, 46-53 Station Wagon and Truck, 41-45 MB,41-45 GPW,45-49 CJ2A,48-53 CJ3A,50-52 M38,52-71 M38A1,53-67 CJ3B,55-71 CJ5,55-71 CJ6, 66-71 Jeepster Commando. Will fit L Head or F Head. Note: May require machine work. This replacement cylinder head gasket fits 1948-1950 Jeepster, 1941-1945 MB/ GPW, 1946-1949 CJ2A, 1949-1953 CJ3A, and 1950-1952 M38 models equipped with the 4-134 L-Head engine. Distributor rotor. Fits: 4-134, 1953-1971 with IAT-4401, 4204A, 4405. Dust cover boot for tie rod. Fits all years of Jeep and Willys vehicles.